All the Shahid Kapoor fans are in for a big lesson from the star himself. The handsome hunk has been like the ultimate inspiration or what you call as 'fitspiration' for the admirers. But with his one eye-opener post, he shattered the norms of 'Instagram' or being perfect all the time. For those who were used to watching Sasha in his chiseled body, get ready to see the real Shahid who is equally charming! In his latest pic, he channelized his inner Kabir Singh and posted the collage of his not-so-toned body for the fans. 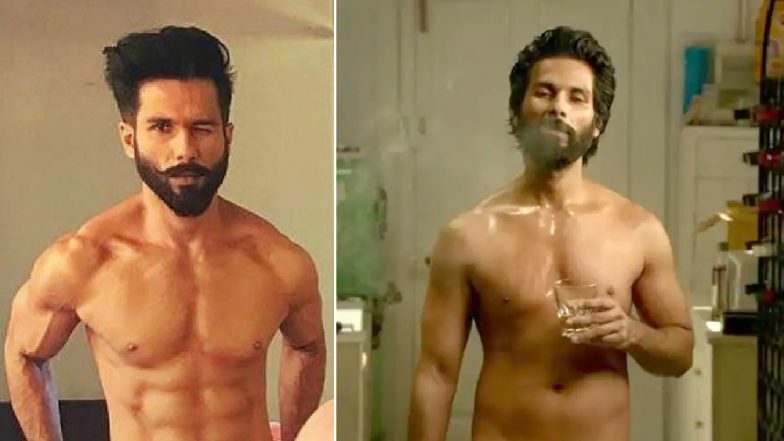 Shahid Kapoor’s Rowdy Avatar in Kabir Singh Was No Cake-Walk, the Teetotaller Smoked Almost 20 Cigarettes a Day. Honestly, it takes courage to show your real self to the people who are always hooked to your reel self. With drink in his hand and smoking like a swagger, he allowed the fans to see the real body of himself. In the note, he wrote, "As a star one is so conditioned to showcasing oneself at ones best. But as an actor one has to have the guts to show yourself at your worst. #kabirsingh in my blood. Hope you feel him too." Check out the post below and you will see the raw side of the Udta Punjab actor! Shahid Kapoor aka Kabir Singh! The 38-year-old is a fitness freak but he is an actor above that. The fans have witnessed his transformation right from his single "Aankhon mein tera hi chehra" to Kabir. Indeed, he pointed out something very crucial and his fans respect him even more now! For those who are still wondering what on earth is 'Kabir Singh', it is Shahid's upcoming film. Directed by Sandeep Vanga, the flick is the remake of Telugu film Arjun Reddy. It also stars Kiara Advani in the lead and is slated to release on June 21.